The Thankful Leader | doug van dyke. dvd consulting incorporated. leadership simplified. With Thanksgiving taking place this week, we believe it is a marvelous time for leaders to reflect outwardly and inwardly on the many things for which they have to be thankful. First of all, be thankful for your organization. 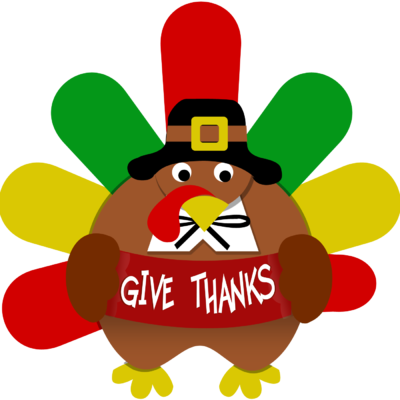 It may have faults - most do, however, whether you are a sole proprietor or work for a Fortune 500 company, odds are good there are many things for which to give thanks. Take a moment and make a list of the top five positives related to your organization. Give thanks for those five items. Be intentional about using your leadership influence to enhance your organization’s strengths going forward. Be thankful for your customers. Heck, providing excellent service and products to customers is an organization’s reason for existing. This week, review your list of customers. They are people, even though the client name may say ABC Corp. Give thanks for the many professionals who are your customers and who attempt to do their best each day. As you review your customer list, take pause by each name and think about the positives they bring to your organization. Be thankful for your team members. Some are frustrating, but most are heroes. Savor them. Ponder the positives and the smiles that your co-workers bring to the workplace. Share effective feedback with your people and help them feel valued. Place differences to the side. Rather, give thanks for the sometimes difficult situations that seemingly drive co-workers or groups apart. Ultimately, we grow stronger from experiencing and overcoming workplace challenges. While it is a trite but true acronym for TEAM: “together everyone achieves more.” Share your thanks, directly and in-person, with others in your organization. I will let you in on a secret, your team members are thankful for your leadership. Share a meaningful moment with them this week. Be thankful for your thirst to learn. The fact that you are reading this newsletter connotes that you are a life-long learner. Give thanks for the fact that you love to grow your skills and enhance your knowledge. It is a terrific trait, and certainly something worthy of giving thanks. Keep on learning. Keep on growing. In fact, I challenge you to make a list of the three areas in which you will grow and learn during 2019. Take time, ponder how you want to raise your bar of excellence. The rest becomes easy. It is merely a matter of execution. Learn and be thankful for this desire. Be thankful for strategic allies and outside resources. Every organization has people outside of it who provide value. Take time to give thanks for those who refer business to you. Appreciate service providers who help you when you are in a bind. Make a list of the top seven people outside of your organization who positively impact your work world. Give them a call or reach out in some way. Let them know you are thankful for their efforts and their acumen. Be thankful for your family and friends. Take time to make special moments for your significant other this week. My wife, Veronica, is incredible. I am thankful for her support, encouragement, and love. Without wonderful friends and family, leaders can easily become lost. Our family and friends can serve as a compass for us, as well as a foundation. Savor. Give thanks for the many amazing people who are part of your circle of friends and part of your family. Yes, even that family member. Be thankful for your health and spirituality. We all have differing levels of health. Give thanks for what health you have. Strive to be healthier – in your mind, with your body, in your soul. Savor your spirituality and give thanks mightily during this holiday season. Be thankful for our/your country. While this newsletter is read by leaders in 17 countries, all of those countries are free and wonderful. Be thankful for your country and what it stands for. Give thanks to the men and women of your nation who sacrifice to keep it free. Realize that we live in a marvelous, exciting time. Be confident in the knowledge that good always triumphs over evil. Give thanks for your nation! Be thankful for yourself. Some of you are funny, and all of you like to laugh. Some of you are great thinkers, and all of you contemplate each day. Some of you are creative, and some of you appreciate creativity. However, all of you are unique and talented. Take a moment and look in the mirror. Give thanks for who you are and what you have accomplished. You are a leader. You make positive differences in people’s lives. And you accomplish meaningful things each day. Give yourself a break, and give yourself some thanks. Bottom Line: Be an incredible leader and give thanks this week. There is much to appreciate. Look around. There is heroism everywhere. Peek through the foggy curtains that are created by stress and tasks, and simply gaze. Then, take pause. And, be thankful for your amazing world. Happy Thanksgiving Everyone! Until next time, be well. © Copyright 2015, 2018. Leadership Simplified. All rights reserved.